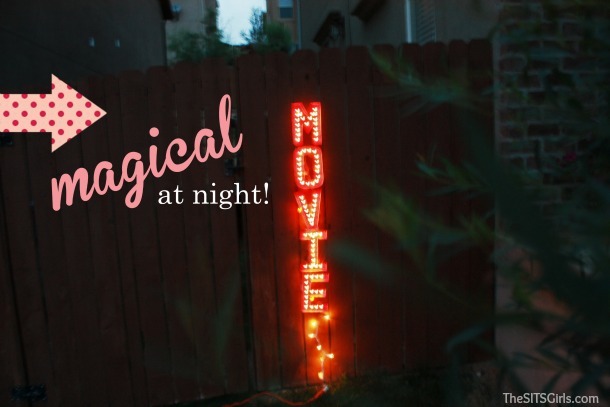 DIY Marquee Sign: Perfect For Your Backyard Movie Night! 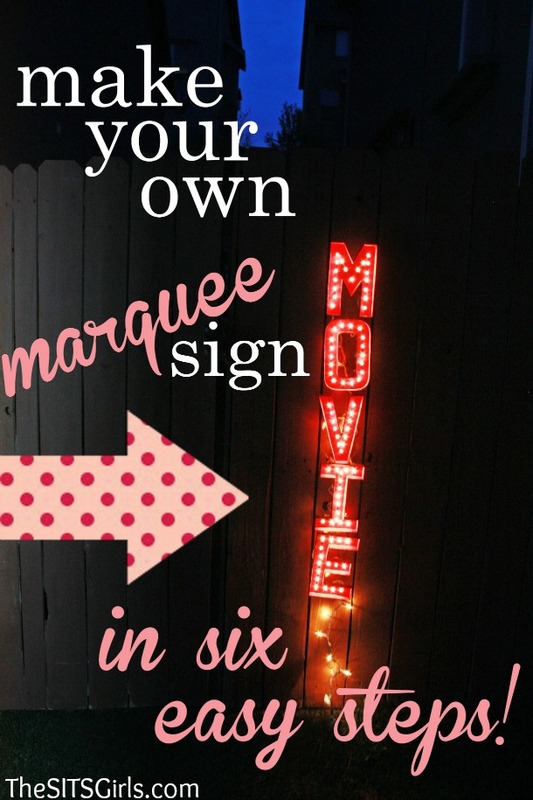 If you’ve perused Pinterest lately, you’ve probably noticed all of the posts on how to make your own DIY marquee sign. After spotting them a few times, I became intrigued and did a little research. But as I delved into the idea a bit deeper, I became aware of all of the time consuming and tedious steps required to make one. I didn’t have time for that! After planning to throw a backyard movie party to usher out the end of summer, I knew I needed my own DIY marquee sign. It would be the perfect touch! And so, after a bit of thought and research, I figured out a way to create a DIY marquee sign that is not only easy…it’s gorgeous! The hardest part of making a DIY marquee sign that I had seen on Pinterest was the construction of the letters. This tutorial cuts that step out completely, using pre-made paper mache’ letters purchased at a craft store. I found mine at Hobby Lobby. Paper mache’ letters are hollow, and usually a natural brown color. To begin your project, gather your supplies including your paper mache’ letters that spell out any word you desire for your sign. 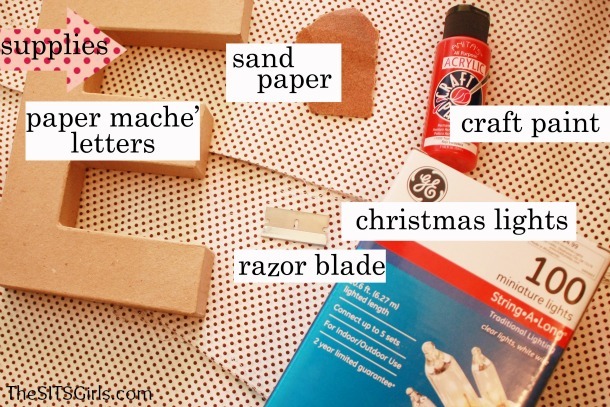 Using your razor blade, cut into the tops of your paper mache’ letters and remove the paper inside. 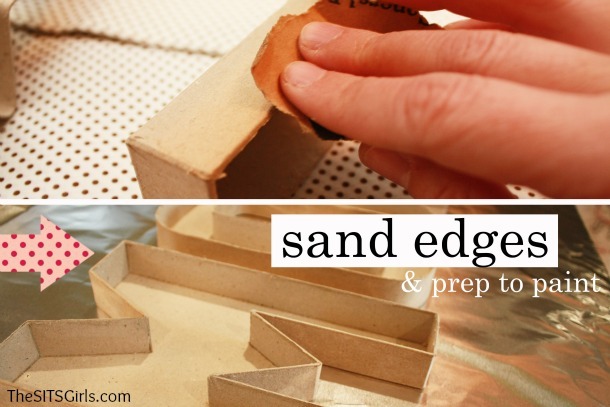 Sand the edges of your letters to make them smooth and ready to paint. Paint your letters in the color of your choice! (I chose classic red.) Be mindful of all corners and curves. 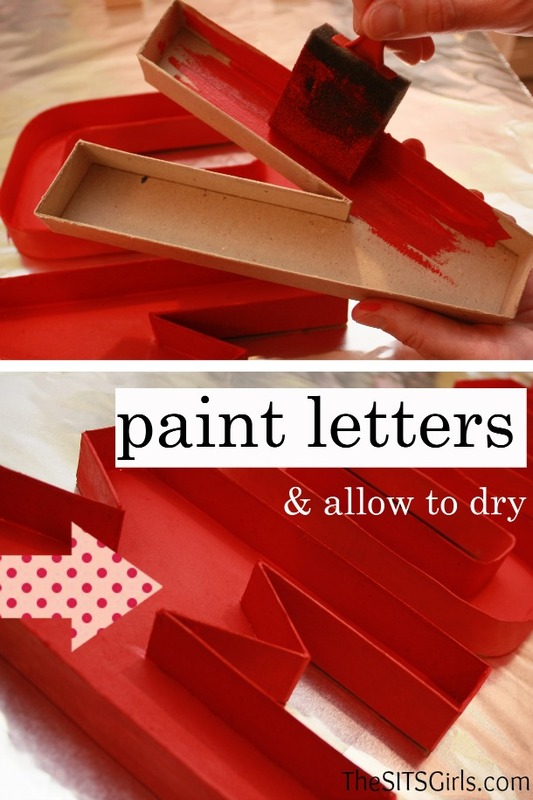 Allow the letters to dry. Turn your letters over. Find the middle of each letter and mark it with a line. 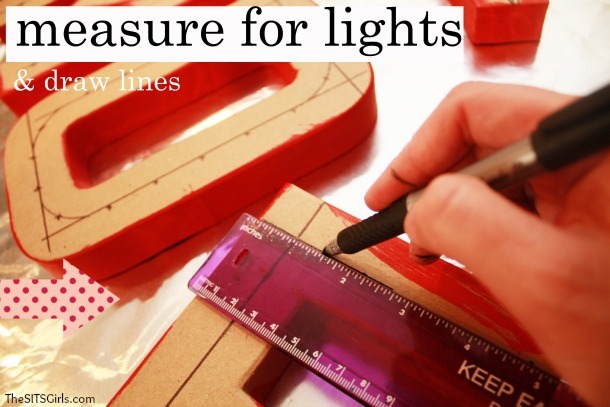 Measure out where you want your lights. (You can space out your lights as close or as far apart as you wish! Just remember, the closer they are, the more lights you require.) I marked my lights to set one inch apart. You can skip this step completely if you just want to eyeball where to poke your lights through your sign. Using your guide on the back of your letters, poke your holes. 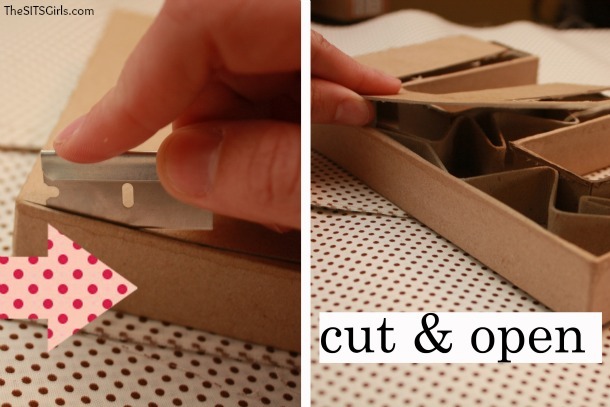 I used the edge of a sharp knife, but you could use a pen, a paperclip, a chopstick, or a nail. After I poked the holes, I ran the paintbrush around the letter to color any unfinished edges. 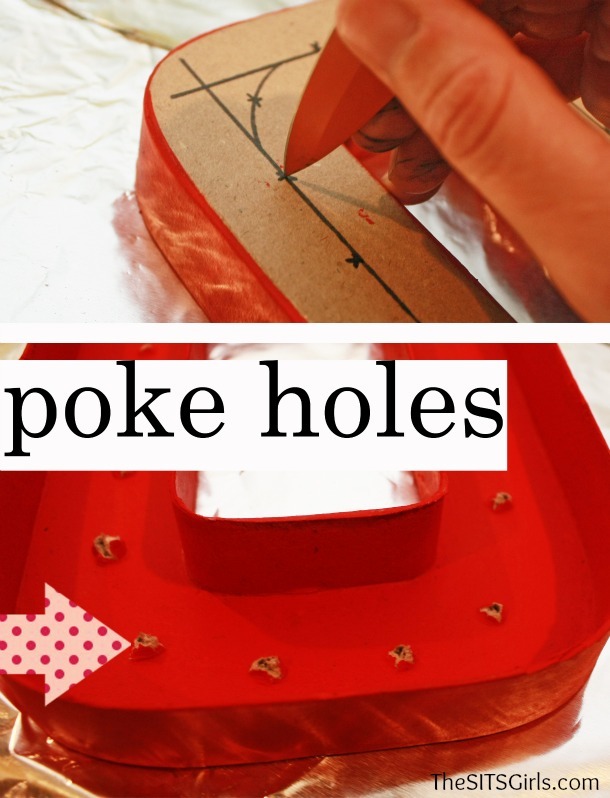 Last, poke your lights through your holes. If you like your lights all straight and secure (like I did! 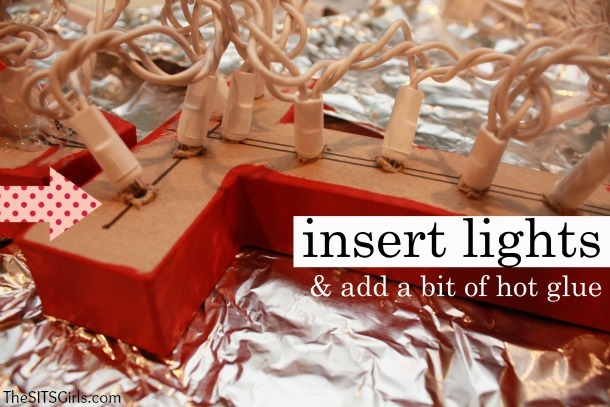 ), you could use hot glue and fasten your lights to your sign. That’s it, you’ve finished! Hang your sign up! A marquee sign really brings a wow factor and is an amazing addition to any party or gathering! 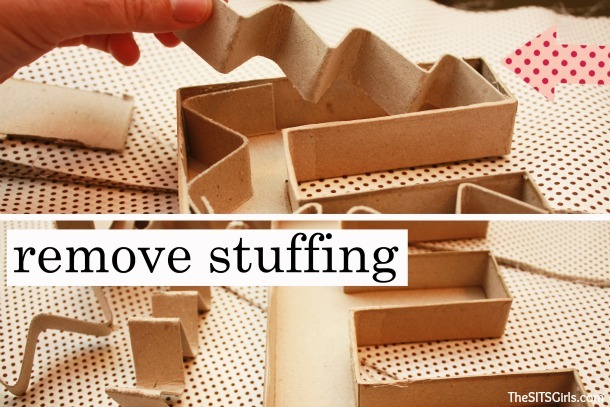 And, by cutting out the need to construct the letters on your own, it’s easier than you think! Come back next week to see how I used my marquee sign! If this DIY Marquee Sign post has you feeling inspired, keep reading. We have more for you! Wow that’s just brilliant! 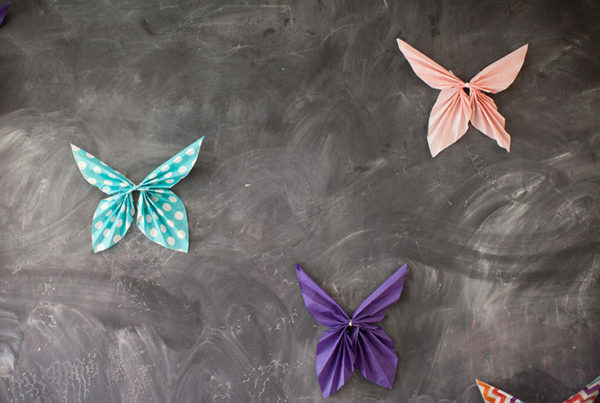 I love a tutorial that is simple and do-able (not fiddly but looks great). 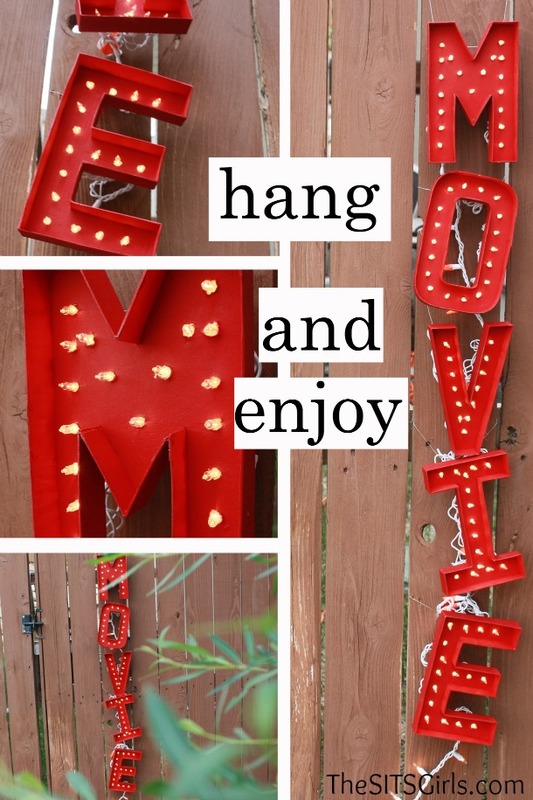 I have pinned your tutorial to my Hollywood Movie night Pinterest board; this year I am *hoping* I might get an outdoor movie night for my birthday… so thanks! Thanks Simone!! Perfect for a Hollywood movie night! Thanks for pinning!! Super cute and original. Love it. It might be a good idea instead of saying that you’ve seen all kinds of marquee letters all over Pinterest, you actually give credit to those sites that inspire you. I know that I am inspired by many things on Pinterest and they drive my creativity at times, but it’s always good etiquette to site those blogs who have inspired you. 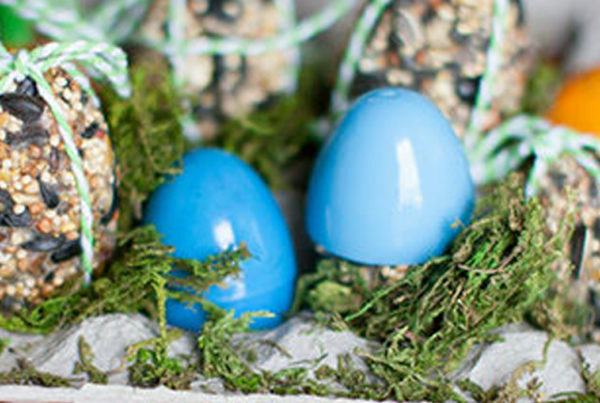 Pinterest hasn’t MADE anything other than a website, but other creative bloggers have and deserve proper credit. Thanks Heather! There are so many marquee letter tutorials that I’ve seen on Pinterest, I wouldn’t know where to give credit where credit is due. (Ive looked at 15+ tutorials over the last 2 years trying to come up with an easier solution. ).My tutorial is based off of my own technique, and I was actually poking fun at the other, more complicated tutorials that I’d seen online. This is fabulous!! My crazy-talented sister-in-law loves to throw themed parties. She will love this!! Thanks for the easy tutorial! This is really cool! I wish I was this crafty! Aw! It’s easy, I promise! This looks like it would be so much fun to make. I love this idea for a get together of some sort. It’s a great rainy day afternoon project! So fun and cute! I’d like to see my name in lights ;)! Who wouldn’t want their name n lights?!! 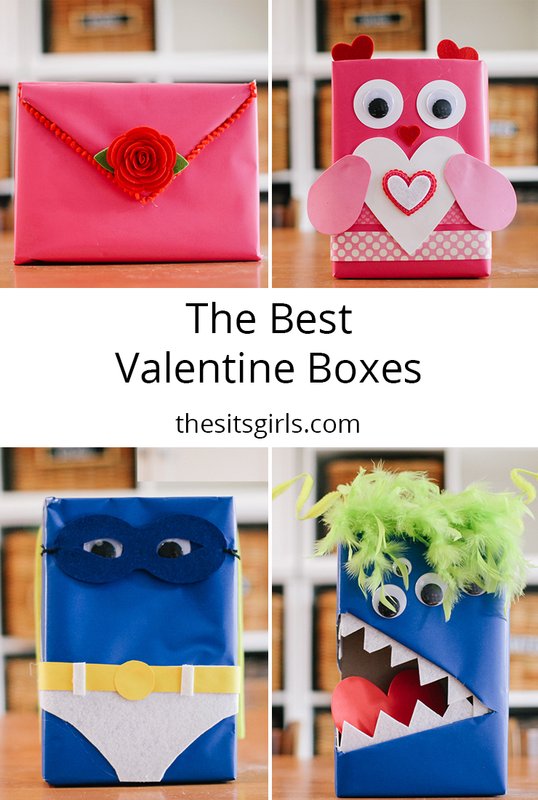 LOVE this idea!!!! Going to create all kinds of signs!! Thanks so much for sharing! That looks awesome! I’m inspired. 🙂 Would be fun to use for a birthday party, I think. A birthday party sounds like the perfect use of a marquee sign! Karen, the possibilities are endless! Let me know what idea you come up with! OMG! This is so cool!!! Definitely want to make one that says DREAM for my bedroom now! 😉 Thanks for the idea! That is so cool! That would be great for an outdoor party (provided it’s not raining) or a game room. Yes! It’s party time next week! !